In research or evaluation, it is essential to share findings, lessons learned and recommendations with key stakeholders which include children, adolescents and young people. 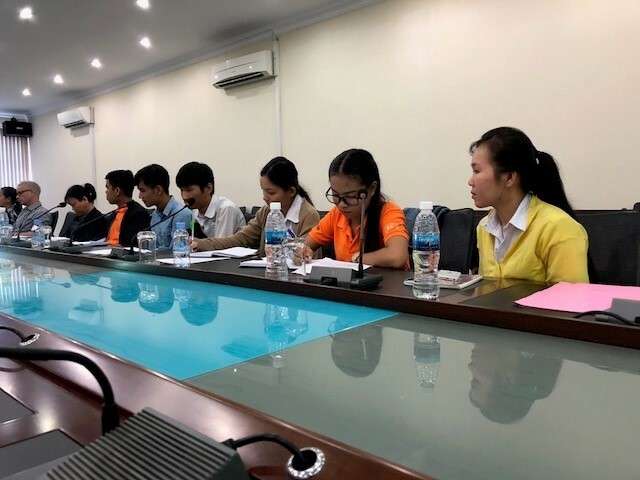 Over the last year, an independent team evaluated UNICEF Cambodia’s Child Protection Programme to assess past accomplishments and analyze plans. Their goal is to make sure UNICEF fulfils its child protection mandate for children in Cambodia. The evaluation found that Child Protection has seen some great progress and is moving in the right direction, but that more can be done to reinforce systems and policies to further protect children. 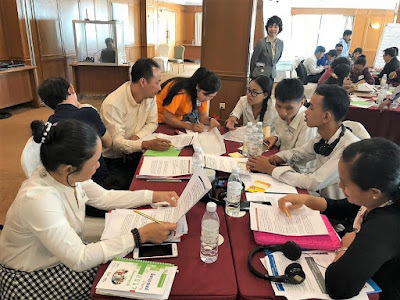 As UNICEF Cambodia is putting together its 2019-2023 Country Programme, the results from this evaluation are important in deciding priorities and next steps. A critical part of this process was the involvement of the Adolescent and Youth Reference Group (AYRG) representing the voices of their peers. At events, such as the presentation of initial findings and validation workshop, members of the group heard findings from research, lessons learned and recommendations for UNICEF’s Child Protection Programme, to which they could offer their own insights and opinions. The Child Protection evaluation sessions are just one of many projects at UNICEF with a strong involvement of young people. 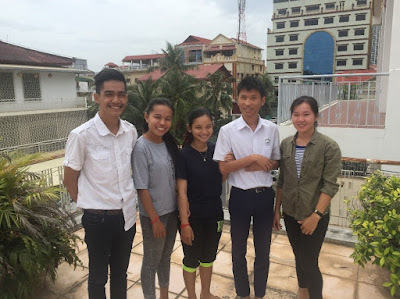 I recently met with Pan Sopheak (19 years old), Ieng Sophaphuong Leo (17), Pheun Phath Jeudy (19) and So Seam Sokim (21), who attended the Child Protection Programme evaluation events as representatives of the AYRG, a much larger young people’s network. They are all bright, young people who are either completing high school or university degrees or starting jobs with local NGOs. They enjoy reading, learning new skills, designing projects and playing sports, among many other hobbies and passions. They are a driven and ambitious group with high aspirations for themselves and for the country’s youth. With a clear community spirit and love of advocating, these are the future leaders and change-makers of Cambodia. By participating in the evaluation, the AYRG confirms that the findings are relevant to them and their peers. During these meetings, the AYRG members had the same opportunities as high-ranking Government officials to contribute to discussions. They also reminded the experts and professionals of the needs of young people. For example, findings showed that Cambodia could benefit from more comprehensive legislation. An AYRG member, with first-hand experience of being in a residential care institution, reminded everyone of the child protection needs of such children. He pointed out that more needs to be done in the interim to address the needs of children and young people living in institutions (like orphanages or large group homes) and those unsafe in their own homes. He reminded everyone that while big picture thinking is important, there are children living in poor situations right now. He reminded participants that UNICEF’s work has implications today and tomorrow and that considerations for both are crucial in achieving results for children. These young people’s drive to influence and participate in the decisions that affect themselves and their peers shows the incredible importance of designing all aspects of UNICEF’s work to include meaningful involvement of children, adolescents and youth. When organizations fully engage these key stakeholders, programmes and advocacy will be more effective and inclusive. The AYRG’s participation in the evaluation of UNICEF Cambodia’s Child Protection programme is an important step to reach UNICEF’s goal to save lives, to defend rights, and see potential fulfilled - for every child. Elizabeth Fisher is an evaluation intern with UNICEF Cambodia.